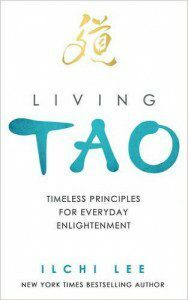 Summary: Tao has been built into the foundation of East Asian culture for millennia, and many books have been written to explain it. But Tao cannot fully be explained in words; it can only felt and experienced. Tao is something you live, day by day, moment by moment. It’s the omnipresent oneness beyond ephemeral phenomena that expresses itself in everything. Summary: Your belly houses about a third of the body’s blood volume, over 300 million neurons, and more than 300 species of gut microbes, and it’s responsible for about 75 percent of the body’s immunity. Your health can easily decline if this major area of your body remains stagnant. By simply and repeatedly stimulating the center of it all—your belly button—you can pump more energy and vitality into your life. New York Times bestselling author Ilchi Lee shows you how to press the button that turbo-charges your natural healing power. Learn how to exercise your belly button just for 5 minutes a day, and reconnect to your body’s innate wisdom so you can best take care of your health for a long and happy life. Summary: Experience a powerful, natural way to vibrant health that has transformed millions of people worldwide! A bestselling author and the founder of mind-body practices with phenomenal success, Ilchi Lee now presents the secret to maintaining your natural healing power at an optimal level. The secret is hot, because it’s about raising your body temperature and keeping its perfect energetic balance. In this condition, you let your body’s systems work at their best. 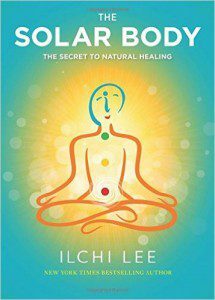 With the simple visualization, movements, breathing, and observation of the mind that make up Ilchi Lee’s Solar Body Method, anyone can enjoy the vibrant health that we all deserve. Like the sun that generates life-giving heat without fail, you can craft your body into a Solar Body that self-charges with limitless energy. Summary: This richly illustrated New York Times bestseller and word-of-mouth-phenomenon takes readers on a journey through the magical landscape of Sedona, illuminating the path to self-discovery and opening readers to a higher purpose and potential—from one of the world’s most renowned meditation teachers. 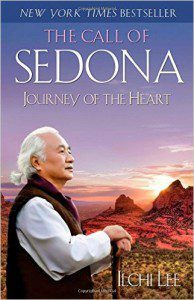 The Call of Sedona speaks to anyone seeking greater fulfillment and deeper meaning in their lives. With practical advice on meditation and profound insights on the healing power of the earth, this book gives you the guidance you need to embark on your own journey of the heart. Summary: Change is inevitable. Both personally and globally, change drives our lives. Despite the new opportunities change can bring, many of us resist and fear it, even as we long for a healthier lifestyle or agree we need a more sustainable culture. 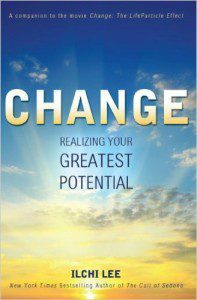 Change: Realizing Your Greatest Potential turns this unavoidable condition of life from something fearsome to something empowering by revealing a new perspective on reality. The way we were taught to think of the world is not the way it really is. We are not a mosaic of separate beings in competition for resources. Instead, each of us is an integral part of a whole that encompasses all creation. We are an intrinsic driver behind the force of change. As such, our creative potential is limitless. That potential comes from what author Ilchi Lee discovered over the course of his inner explorations that each of us has a beautiful mind that desires to benefit all beings. This inherent nature is our true greatness and the true power to solidify the changes we envision in our personal lives and the world. 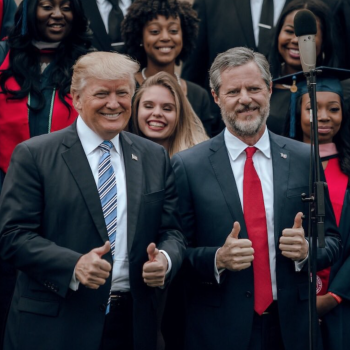 Change is urgently needed; the current course of our civilization is no longer tenable. But major changes are not feasible, Lee says, unless we begin with changing ourselves. He says we can start a big change, no matter how daunting it is, with changing our personal attitudes and energy. Change tells you how. Summary: Discover a world of wonder and wisdom in this collection of Asian calligraphy paired with inspirational messages. 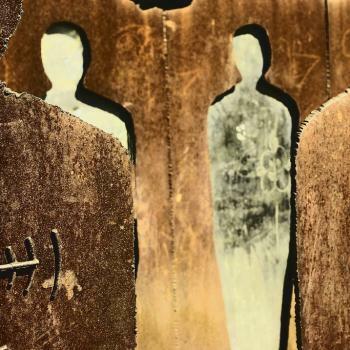 In each brushstroke, llchi Lee has expressed his dream of a world where all are happy. Become enveloped in the secrets of the cosmos, the beauty of the earth, and the sublime in human nature as you observe each painting and discover your own happiness. Every moment of producing this body of artwork was a meditation for Lee, who has over thirty years of experience in developing mind-body-energy practices. With a clear mind focused on his brush, he has communicated his expanded yet deep awareness via paper and ink so that you too can experience a connection to your happiest self. 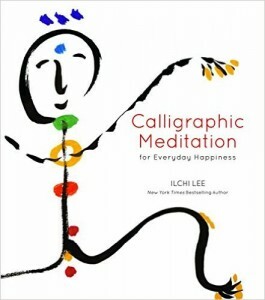 Calligraphic Meditation for Everyday Happiness displays fifty-two pieces of calligraphy that range from Chinese characters to playful images in Lee’s unique style. Go into their depths by meditating on the images and words, or let their simple beauty decorate your coffee table. 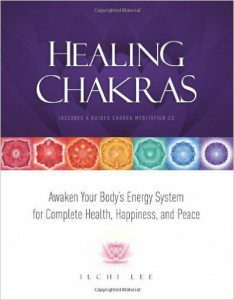 Summary: The Chakras are the seven key energy centers of our body. When all seven Chakras are active and functioning optimally, we live a life of physical, mental, and spiritual health. Healing Chakras combines a deep underlying spiritual philosophy with a systemic chakra therapy method designed to activate, cleanse, balance, and integrate the individual Chakras in order to create a harmonious and holistic Chakra System. One of several factors that separate this book from other Chakra healing books is that the principles behind it are derived from The Heavenly Code, the 10,000-year-old sacred text of Korean-Asian tradition. Within its short 81-letter text, The Heavenly Code summarizes the eternal, universal truths about life, death, evolution, and completion. Also unique to Healing Chakras is the CD of chakra meditations, some involving chakra colors, as well as other energy sensitizing and activating exercises. It includes live music performed by the author himself using only instruments with natural sounds such as the flute, rain stick, Indian drums, and vibraphone, among others. Healing Chakras will enhance your physical and spiritual growth for years to come.